Once in a while, someone will make the connection about the historical roots of Hatha Yoga and Hinduism. Statements have been made that Yogic methodology and Hinduism are one in the same. In truth, many ashrams do cover Hindu scripture, but that is a real rarity within a Western style studio. Also, be aware that Christian ashrams also exist, so not all ashrams are the same. Of course, there are also countless statements that “Yoga is evil,” and Yogic philosophy is anti-this or anti-that. Let’s look at the definition of evil closely. Evil is bad, wicked, mischievous, prejudicial, vicious, hurtful, to have bad intent, and to desire pain for someone else. That description is actually much more fitting for a religious fundamentalist. In the past, hanging, burning at the stake, drowning, and the rack, were used by religious fundamentalists to rid society of accused witches. Everyone was a suspect, and anyone that was accused, of anything, was tortured, until they confessed. The Malleus Maleficarum (Hammer of Witches), written around 1486, was a popular manual for witch hunting and torturing. Usually, women were accused because of a birth mark, living alone, to seize property, or some other excuse. So how long was the Malleus Maleficarum used? For almost three centuries, this book was used to justify intolerance. Fundamentalists have left a legacy of hate for anyone who wants to read a history book. Beware of the holy man who condones hate, violence, crime, and killing – for he is not holy at all. Now, getting back to Yoga – It is true that Yogic methodology develops the entire being by enhancing physical, mental, emotional, and spiritual health. Each style will place more emphasis on one of these four aspects. Therefore, all forms of Yoga do have a degree of spiritual value. 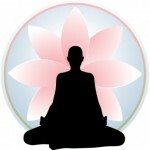 Beside this fact – there is no evil in spiritual health. If Yoga training were a religious vehicle alone, it would be the most tolerant path to God. No one is turned away from an ashram, wellness center, or a studio because of religion, nationality, race, gender, color, age, or any other reason, to discriminate. Why? Discrimination, intolerance, and hate are morally wrong. Jesus said, “Forgive them, Father. They know not what they do.” When a religious fundamentalist can learn to be mindful, forgive, and show loving kindness to others, outside of his or her religion, a new legacy of purpose will be created.